Bathroom humour? 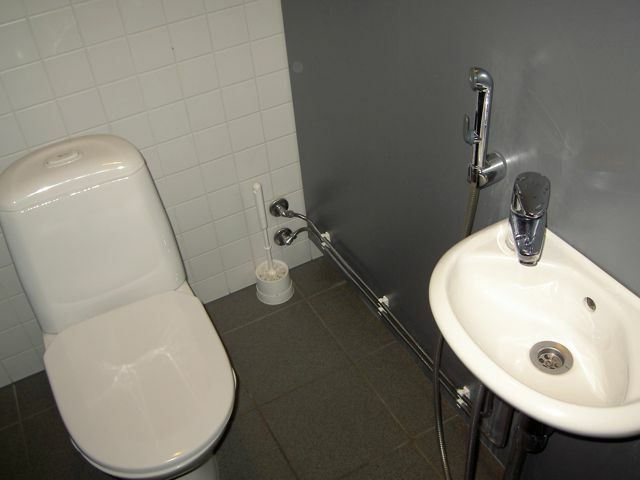 Travelling broadens the mind, and so I feel coming on a totally unpatchwork-related post: on loos. The great universal call of nature is answered in various ways, around the world. So far, in 24 hours of travel, I have discovered that Finns (during my Helsinki stop-over) seem to enjoy an extra shower extension in their public toilets, although how they use it without emerging soaking wet is anyone’s guess. Or is it for the floor? In Japan, such niceties are taken to new levels. My hotel room boasts the most elaborate bidet / loo (“Washlet”) that, not to put too fine a point on it, squirts an alarmingly warm and powerful jet of water up your bum. Or, at the flick of a switch, provides a light sprinkle when you tinkle. In a restaurant tonight, the loo seat was also heated, rather hot too, and the water was so strong that I took a double check to make sure I didn’t have an unsightly streak up my back. 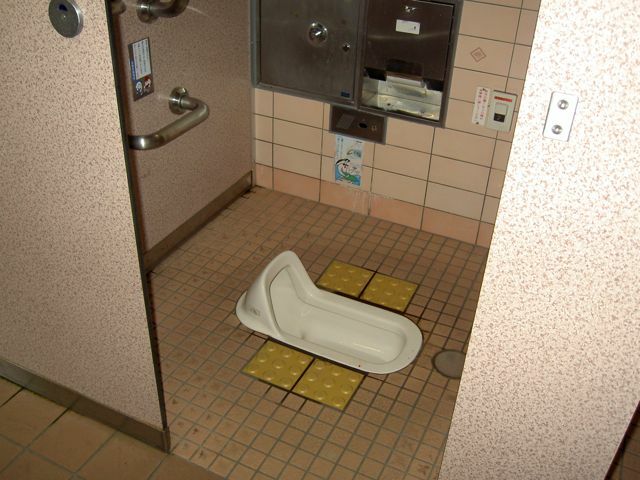 I didn’t, but I must remember to sit back far enough… And this is even before encountering the traditional Japanese squatting style-loo. Ah, travel, broadens the mind. And the behind? 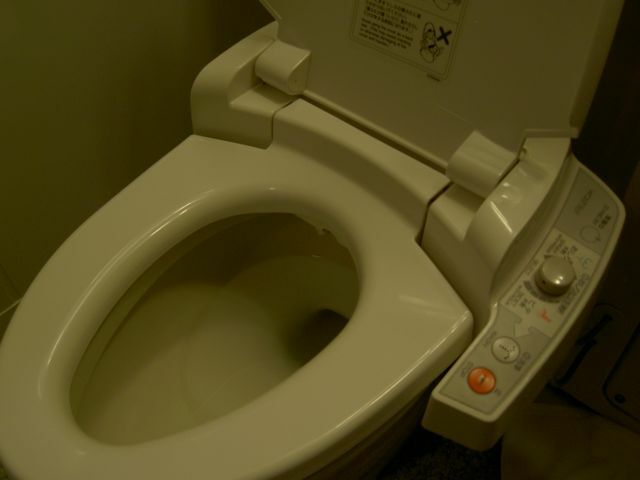 I also found some that have a button that produces an artificial flushing sound if you want to preserve your modesty further, without wasting water. 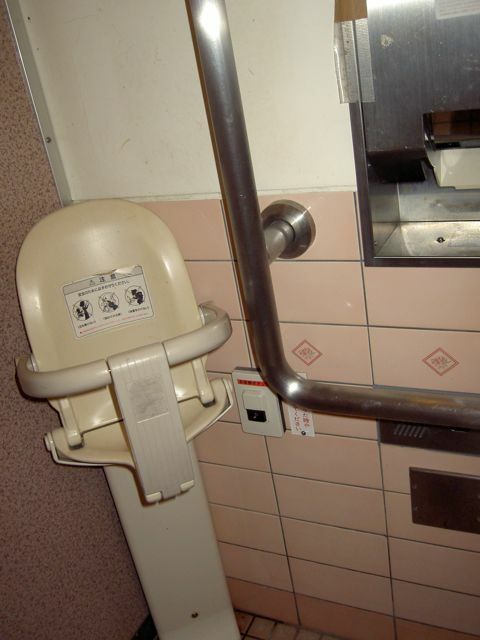 Edited to add this: a marvellous contraption to put your baby while you pee, in the corner of the cubicles. Now that is kindly catering to families! Although I suspect there isn’t one in the men’s loo. But hey, how clever! OK, enough about loos. Isn’t it funny how one fixates on one thing when facing culture shock, even pleasant culture shock? I can remember in Canada being so amused by the basin taps that turned inwards towards each other, rather than both anti-clockwise. It’s the little things that make travelling so fun!